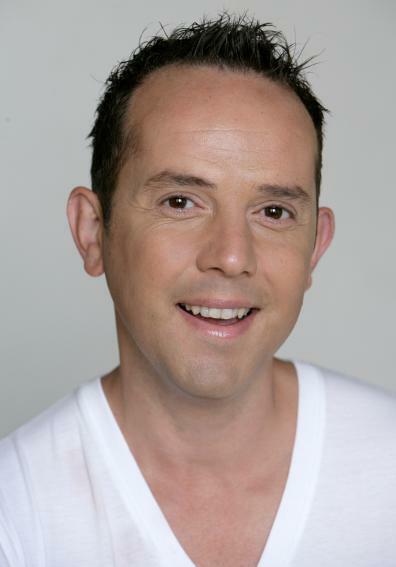 Rob Lobosco completed a Bachelor of Health Science– Traditional Chinese Medicine Degree at Victoria University-Melbourne, in 1996. His last year was spent focussing on writing his thesis on Dietotherapy. He has also completed his Medical Qi Gong course. Since completing his degree he has worked as a Dr. of Chinese Medicine and Natural Therapist. Credits include, Natural Therapist for Fernwood gyms, Natural Therapist at many Nursing Homes and Companies in Melbourne, as well as starting his own practice, A1 Natural Health Clinic- now known as YERA NATURAL HEALTH CLINIC, in Essendon. Here he practices Chinese Medicine/Massage Therapy, as well Dietotherapy. Rob also completed writing his three Health & Well Being eBooks titled, 'Heal Yourself With My Learnings.' These are available from the Yera Book store on this website. Book 2 is a comprehensive Diet & Health Cookbook, with delicious recipes, easy step by step instructions to make the dish, as well as a list of all the ingredients for the recipe - and thier health benefits. Rob taught Aerobics for 16 years, including Les Mills Aerobics programs - Body Pump/Body Combat. He was one of the first, regular, instructors at Windy Hill Fitness Centre where he taught for 12 years. Rob was also awarded, 'Fat Loss leader,' having lost over 30 kg- naturally- thanks to Acupuncture, Diet and Chinese Medicine. 2005 brought the opening of Yera Health Retreat- Rye. Rob focussed all his energy and expertise in creating a 'pleasant resting place,' for his terminally ill patients and anyone in need of some time away to heal and relax. He has trialled and refined all of the programs now available at Yera Health Retreat's, 4 to 11 Day Live-In Detoxes/Bootcamps/Yoga Retreats & Transformation Eternity Retreats. Rob continues to educate Youth, within schools, on healthy lifestyle, good health and disease prevention. He has Written/Produced/Directed and performs in four education plays which are touring Secondary Colleges, Victoria wide- and also did a Tasmanian tour in 2007. Rob was the face and presenter for the website , 'Healthy & Juicy,' and filmed many videos, including writing, creating and performing in the commercial. Rob's motto, 'Don't wait- create,' has lead him to deliver his '4-E's,' in all that he does. His novels and films aim to deliver the '4-E's,' educating, entertaining, enlightening and empowering audiences. His novels, 'In love with love- Not him!' about Annie's journey from dishevelled to transformation to bliss and 'Tough Lessons,' are both available at Yera Book Store page of this website. His short films, "FATE - It is what it is!" "LOVE- It's all around!" "DISCONNECTED- Stay connected!" are currently at film festivals all around the world. The film "Fate - It is what it is!" was filmed at Yera Health Retreat and the wonderful 16th beach - where we do the meditations and Qi Gong during health retreats. This film Premiered at the 2013 New York City Independent Film Festival, 2014 World Film Awards, 2015 Mykonos Biennale Film Festival, and won four awards at both the Best Shorts Competition and Accolade Global Film Competition - in Los Angeles. Rob is registered with the Chinese Medicine Registration Board, Australian Association for Massage Therapists and Australian Acupuncture & Chinese Medicine Association. Rob will be doing the Chinese Medicine- Acupuncture/Acupressure Massage/Qi Gong at Yera Health Retreat. Rob is registered with the major Private Health Insurances and you will be able to make claims on your treatments. A session with Rob is therapeutic and inspiring for mind, body and spirit. He promotes balance rhythm and harmony back into your body and life. Book a session with Rob during your stay at Yera Health Retreat.